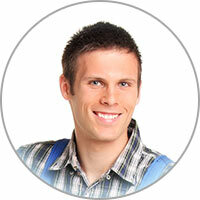 Are you looking for quality appliance repair in Poway CA? If you are searching for affordable oven repair in Poway CA, our licensed team of technicians is ready to help. We can safely repair or replace your oven parts for you, so you don't have to risk injury or making the problem worse. Don't waste another moment: contact us today! We offer a variety of oven repair services. We are proud to offer standard oven maintenance, replacement of oven parts, diagnosing oven issues, and general oven repair. We also service every make and model of ovens, no matter how young or old your appliance might be. Avoid the hassle and frustration of not being able to cook or bake in your own oven. In addition, it is typically cheaper and healthier to eat from home instead of having to eat out. We focus on providing high-quality oven repair service to all our satisfied customers. So if your oven is no longer functioning like it used to, we can help. 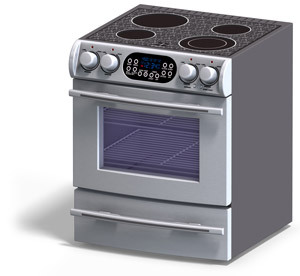 If you are looking for oven repair or oven parts in Poway CA, give us a call today. We'd be delighted for you to join our long history of satisfied customers in the area. We are ready to provide excellent oven repair service for you. We know you'll be glad that you contacted us to get the oven repair job done right the first time around. Is your gas oven not properly performing its self-cleaning cycle? While we rarely hear of such an issue, it's possible that it will occur if particular parts have defects. Typically, the parts to blame are either the door lock motor or its assembly; swapping out these parts will get the self-cleaning function to work again. However, if this is not the issue you might actually have a defective control board; if your control board is faulty it won't signal the oven to perform the function it's supposed to, which in some cases might be limited to just the self-cleaning function.